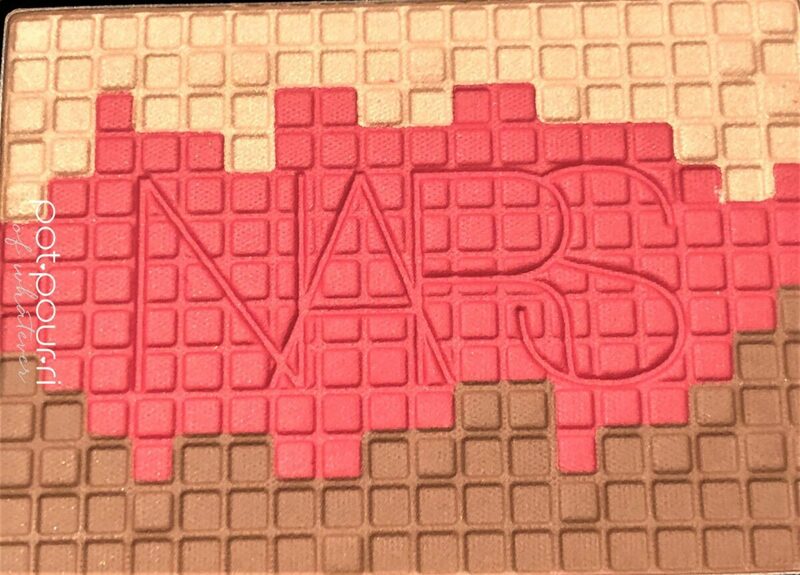 The New, Limited Edition Nars Mosaic Glow Blush Fireclay looks like a tile mosaic. In fact, it is a Mosaic that includes a highlighter, blush and bronzer. 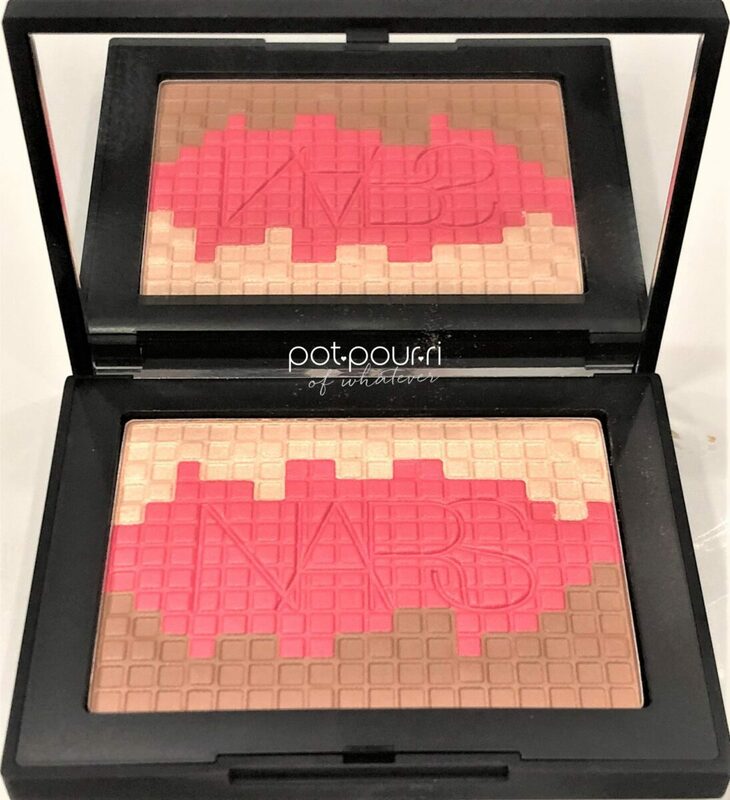 The New Mosaic Glow Blush is part of the Nars Spring 2019 Wanderlust Collection. First, the highlighter gives you a natural-looking glow. Next, the blush will make your cheeks pop with color. Finally, the bronzer will contour and define your face. In addition, you can use the highlighter, blush or bronzer by themselves. On the other hand, you can swirl the three powders together to create the Fireclay shade. Moreover, the Fireclay shade happens to be the name of the palette. 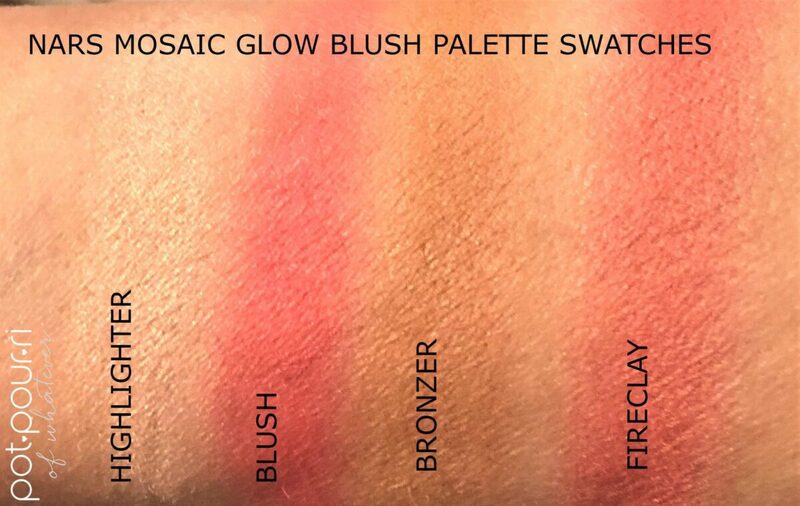 You can find the New, Limited Edition Nars Mosaic Glow Blush Fireclay Palette on the Nars Cosmetics Website, and at Blue Mercury. In addition, the palette retails for $42. 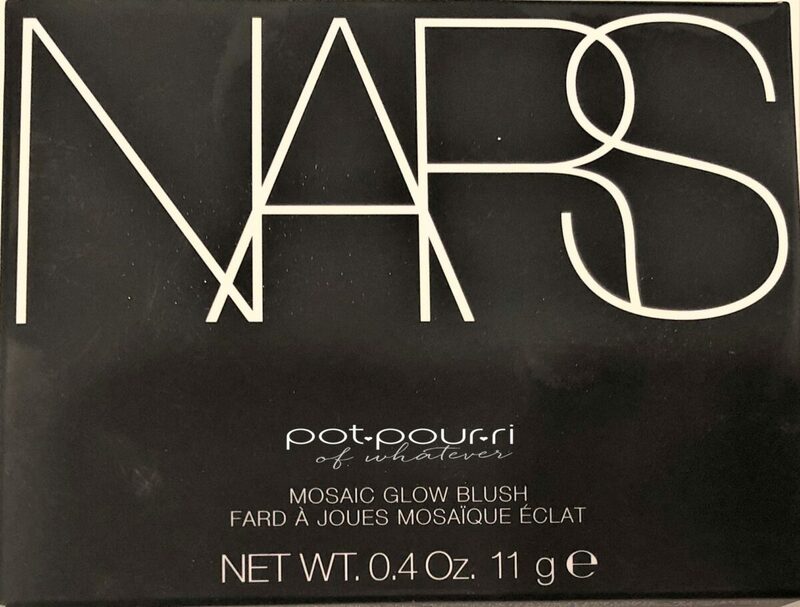 To begin with, the Mosaic Glow Blush Palette comes in Nars’ trademark packaging. First, the outer box is ink black. Also, it feels like satin. Next, the compact is also ink black. 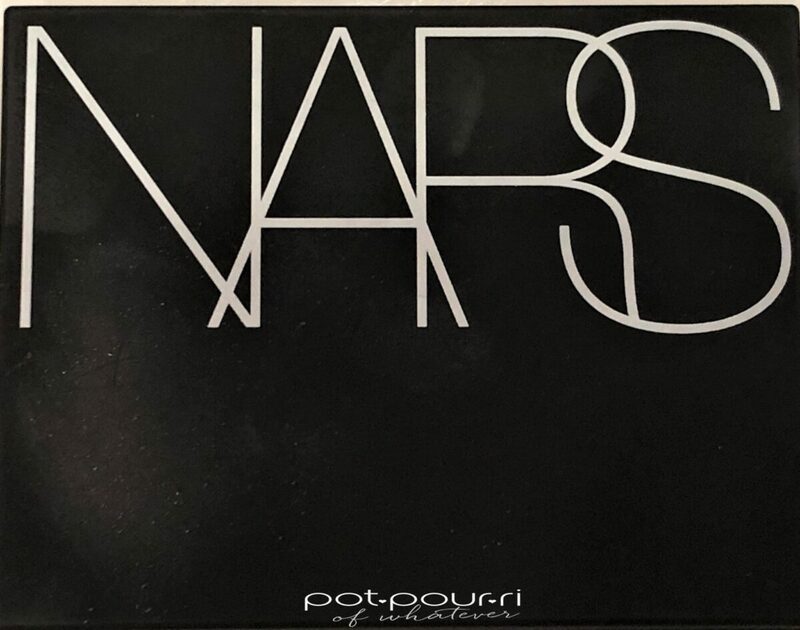 Both the box and the compact have NARS written across them, in white letters. I’ve always loved the sturdy, feel of the Nars’ compacts. First, the compact is plastic. However, you’d never know this by the way it feels. Moreover, the compact feels rubbery. In addition, the palette feels soft and bouncy. Inside the palette, has a full-sized mirror. On the other side, the highlighter, blush and bronzer create a mosaic design. To begin with, the Mosaic Glow Highlighter’s formula is a light-reflecting powder. First, it contains sheer spherical powders and pearls. The highlighter applies evenly, and seamless. Also, it feels weightless on the skin. You can create a delicate lit from within look, or a full-out strobe. It gives you all your glow without the glitter. Superfine micronized powders make the blush. Furthermore, the powder has rich, pigments. Moreover, the blush feels silky. In addition, the micronized powders give you buildable coverage. Also, it blends evenly to create a soft application. And, it gives you a pop of color. Finely milled powders create the diffused bronzing powder. You can use each of the shades alone. First, the highlighter creates a natural-looking glow. Second, the vibrant, satin blush makes your cheeks pop. Also, it creates a blush that shimmers. Blend the blush from the apples of your cheeks, upwards to your temples. Furthermore, you can use any remaining product on your brush to swipe across your forehead and chin. Third, the sultry matte Bronzer contours and defines your face. Also, it adds warmth to your face. However, the Fireclay shade is created when the three shades are swirled together. Swirl a flat kabuki type brush around all three of the colors. In this way, you’ll create lively, multi-dimensional looks. The biggest complaint I have is the areas with the highlighter and the bronzer are much smaller than the blush area. As a result, it is difficult to swipe your brush into the highlighter or bronzer without picking up some blush. Although, it is easy to swirl the brush and pick up all three colors. However, when you swirl the shades together, the actual mosaic gets all messed up! As a result, you can’t win and you can’t lose. Either way, you can get up and glow! Leave your comments in the box below. I love hearing what you have to say, about the palette, about anything!